San Ysidro Port of Entry (U.S.). Led by the Hernandez Rojas families, San Diego Council Member David Alvarez, faith and civic leaders. 12:30 pm – Border Reality Checkpoint Action – San Ysidro Port of Entry (U.S.). 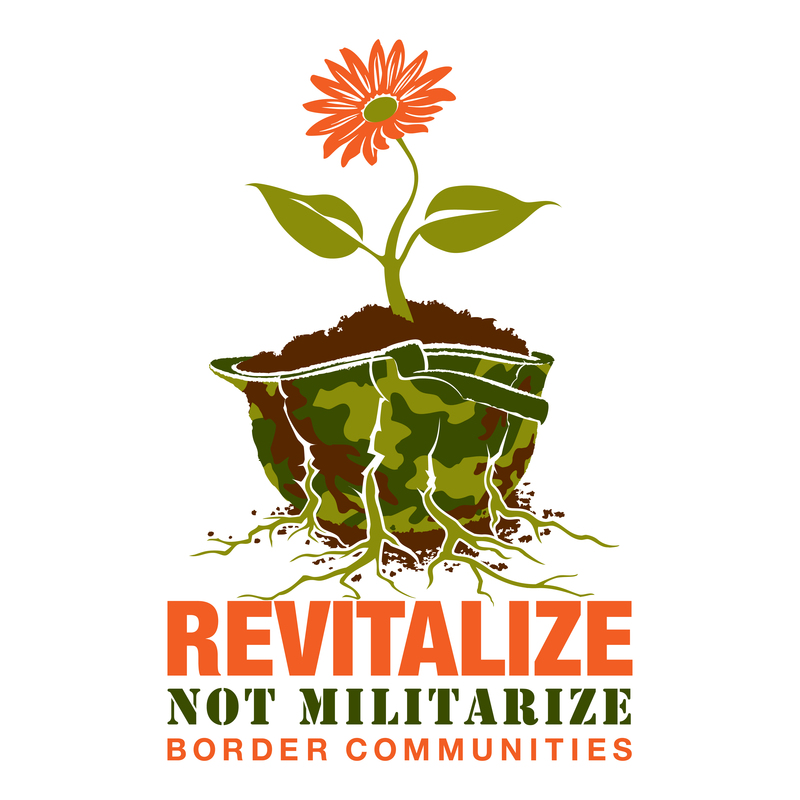 6:00 pm – Vigil and Rally with Families Affected by Border Patrol Abuse. San Diego, CA: Wednesday May 28, 2014 will mark 4 years since Anastasio Hernandez Rojas, a long time San Diego resident and father of five, was beaten and shot several times with a Taser while handcuffed and hogtied by over a dozen Customs and Border Protection (CBP) agents. Anastasio did not survive the horrific beating and the San Diego Coroner’s Office declared the case a homicide. Although the incident prompted congressional inquiries, a grand jury investigation, and several agency-wide audits to assess the extent of excessive use of force at CBP, not one border agent has been held accountable for this incident. San Diego residents are gathering on Wednesday, including San Diego City Council Member David Alvarez, to support the family of Anastasio Hernandez Rojas and to urge CBP to hold its agents accountable for their actions. A press conference will take place at 12:00 p.m. at the San Ysidro Port of Entry which will be followed by a Border Reality Checkpoint at 12:30 p.m. Later in the evening, a vigil and rally with the community will take place at the Civic Center Plaza in Downtown San Diego at 6:00 p.m.
On the same day that Anastasio’s family and community mourn his death, CBP Commissioner Kerlikowske will deliver a keynote speech to the Police Executive Research Forum (PERF), the very agency which audited CBP’s use-of-force policies and whose findings and recommendations the Commissioner is currently withholding from the public. Earlier this week, border advocacy groups met with CBP Commissioner Kerlikowske to urge him to immediately release the PERF findings and recommendations as well as the use-of-force policies that have also been withheld from the public. “Without knowing what is in these documents we are left to assume that the agency has something to hide,” said Christian Ramirez, director of the Southern Border Communities Coalition (SBCC), which has documented the killing of at least twenty-seven civilians by CBP agents. The story of Anastasio Hernandez Rojas, along with the tragic eye-witness video of his beating, exposed to the nation the culture of violence and impunity within the nation’s largest law enforcement agency, Customs and Border Protection. Since the year of his death in 2010, twenty-six other people have been killed by CBP agents. Roughly a third of them were minors, a third were U.S. citizens, and nearly all were border residents. In addition to those killed, many others have been injured due to excessive force. The family of Anastasio Hernandez Rojas, including his widow, Maria Puga, and his mother, Luz Rojas, have become national spokespersons for accountability and oversight over border agents. The family, along with advocates from the Southern Border Communities Coalition, have been asking for the public release of the PERF report, use-of-force policies, better training of agents, proper tracking and investigation of abuses, disciplinary action of agents when merited, and the use of body-worn cameras on all border agents to prevent abuses. The family of Anastasio Hernandez Rojas will lead the Border Reality Checkpoint, which aims to inform border residents who live within 100 miles of the border about current border policies and issues that have direct implications on their communities. They will also ask residents to take action by signing postcards that will be delivered to the White House. Human rights observers will be on stand-by to document abuses for those who would like to report troublesome encounters with border agents that have occurred either at ports of entries, at checkpoints or in their communities. Visuals: Participants in this action will be wearing orange vests, holding Border Reality Checkpoint signs along with posters of Anastasio Hernandez Rojas, handing out postcards and information about their rights, and documenting abuses.